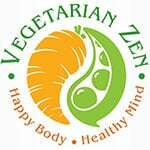 Back in 2014 we did an episode of the Vegetarian Zen podcast called “Foods that Seem Vegetarian But Are Not”. 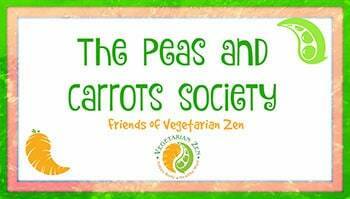 This topic recently had a lot of activity in our closed Facebook group, the Peas and Carrots Society so we decided it was time to take a second look. This time around we considered the vegan perspective instead of vegetarian, so in this episode we share some foods that seem like they should be vegan (no animal byproducts at all) but aren’t, as well those that are surprisingly vegan. Let’s Play a Game! Is it Veg-Friendly or Not? In this episode of our podcast, Larissa and I play a game of “Is it Veg-friendly” or not?” Without giving you the answers right away, I’ll give you some information around ingredients to watch out for if you are following a strict vegetarian or vegan lifestyle. This will also give you some clues if you choose to play the game with us while listening to this episode of the podcast. Gelatin contains connective tissues, skin, and bones of animals. Whey and Casein are both dairy products. Used often in red candies it’s derived from ground cochineal scale insects. Rennet is an enzyme used in certain cheeses. This enzyme comes from the stomach lining of goats and cows. The good news is, some cheese made from vegetable rennet so be sure to read the label! While there are plant-sources of omega 3 such as chia and hemp seeds, some foods that proclaim “heart healthy” benefits can include fish oil. Some cereals that are “fortified with vitamin D” contain fish oil or lanolin, the latter of which is derived from sheep’s wool. L-cysteine is an amino acid that is often used to help soften certain foods such as bread and other bakery items. It’s derived from poultry feathers. So now you have a few things to consider when trying to guess whether the things we mention in the podcast are veg-friendly or not. Play along with us and then leave a comment below letting us know which food surprised you the most! That depends. Most raw sugar is refined using bone char. This isn’t just white sugar. Brown sugar and confectioner’s sugar can also contain bone char. The good news is that because bone char is not on the National Organic Program’s List of Allowed substances, you can simply look for the organic label when buying sugar and be assured your sugar is bone char-free. Are Altoids Breath Mints Vegan? This one surprised me even more than sugar! Unless they are organic, bananas are not vegan. Conventional bananas are sprayed with a bacteria-fighting compound made of shrimp and crab shells. Organic growers do not use this compound. Not all orange juice is vegan. Those that are fortified with vitamin D can contain either lanolin (from sheep’s wool) or fish oil. Vitamin D2 is from plants but D3 is from animals. Some juices that say “heart healthy” also can contain omega 3 fatty acids from fish oil. Sort of. While the cookies themselves do not contain any non-vegan ingredients, the Oreos (UK) site lists milk as a possible cross-contact (which means that the cookies might be made in a machine also used to produce foods made with milk). Most traditional marshmallows contain gelatin. Thank goodness for Dandies Marshmallows, which are vegan! Some, but not all! Check the label for dairy products such as whey. Are Jujubes and Jujyfruits Vegan? Are Planters Dry Roasted Peanuts Vegan? No. Some nuts use gelatin as an adhesive to help the salt and other flavorings stick to the nut. Your best bet is to get peanuts in the shells. Yes! Surprisingly, most commercially packaged bacon bits do not contain actual bacon and are vegan. While veggie burgers are vegetarian-friendly, they aren’t necessarily vegan-friendly as they can contain whey. 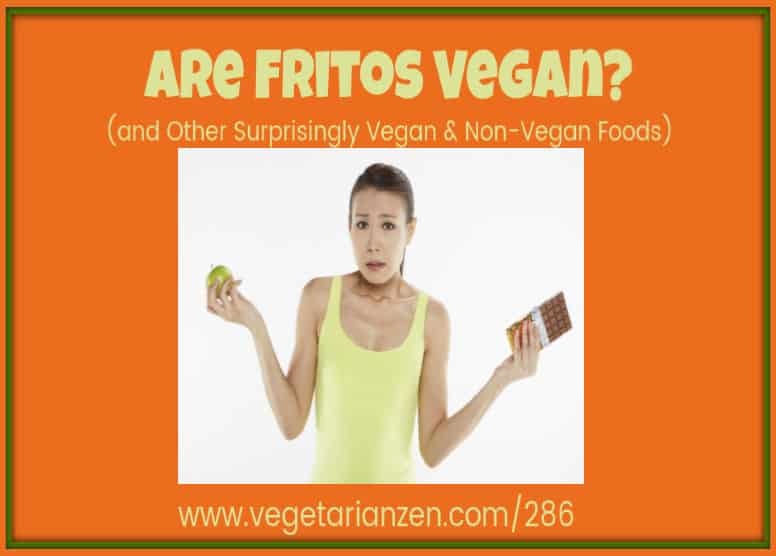 Are McDonald’s French Fries Vegan? No. McDonalds was actually sued by several vegetarians and Hindus because they advertised that their fries were cooked in vegetable oil while, in fact, they are flavored with beef tallow (fat). The good news is that while McDonald’s still hasn’t changed it’s fry recipes, many fast food restaurants do in fact use vegetable oil. Is Cap’n Crunch Cereal Vegan? Thank goodness, YES! Just remember some cereals that are “fortified with vitamin D” contain fish oil or lanolin which is derived from sheep’s wool. No. Many varieties contain anchovies; however, some brands are beginning to produce vegan versions, including Annie’s Organic Vegan Worcestershire Sauce. 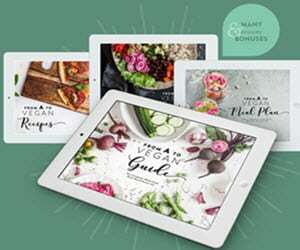 Hopefully we’ve provided you with some guidance about what to look for when it comes to determining whether a food is vegetarian and/or vegan so that you can make educated choices about what you buy for you and your family. The good news is, companies are starting to pay more attention to ingredients and to making their products more veg-friendly, so hopefully the list of veg-friendly foods will continue to grow! Check out episode 286 to hear us discuss this topic and to hear how Larissa did on this quiz! The Golden Apple Roundtable (our Patrons) on Patreon! Question: What surprised you the most to find out was or was not veg-friendly? Not so sure Cap’n crunch is vegan as I don’t believe they use organic based sugar. Hey Alayziah! Great question about the sugar! Here is the list of cereals on Peta’s site that are labeled as “accidentally vegan”. They don’t discuss the sugar aspect of it though. This might call for some more research as there are several on their list that also don’t have the “organic” label. Thanks for listening to the show! Thank you for the response and the great information. I really am glad that I came across your podcast. Your open and accepting conversations help me make informed plant based choices. Keep up the great show! Peace. Thank you so much! We love hearing from our listeners! If you ever have any requests for us to research, please hit me up at [email protected]. Thanks!